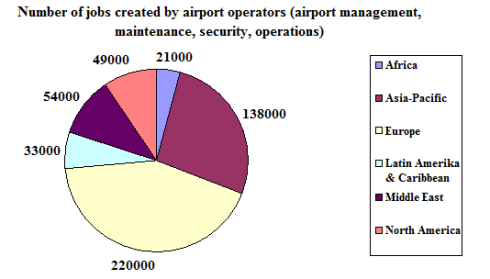 Asia-Pacific – the largest ‘employer’ of aviation technical personnel? 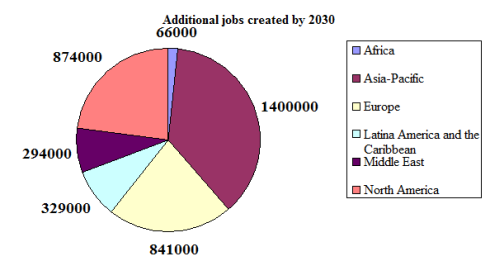 The number of jobs created directly in the aviation industry across South and Central America, Africa, Asia-Pacific and Eastern Europe came to a total of 2.8 million, while in North America, Australia and the rest of Europe the industry accounted for around 5.6 million jobs (data of 2010). FL Technics Training experts have observed that the employment opportunities for aviation personnel specializing in aircraft maintenance as well as airport management, security and operations, differs only marginally among these regions. There are more than 300 000 work places for these specialists created in the developed countries (approx. 220 thousand in Europe, 54 thousand in the Middle East and 49 thousand in North America) and about 224 000 in the emerging markets (21 thousand in Africa, 33 thousand in Latin America and the Caribbean and 138 thousand in the Asia-Pacific). ‘The economy in the emerging markets will grow alongside with the labour market. If a billion people living in India gained the same air travelling habits as the Americans, it would account for a market share of 2.1 billion passengers. Even if the Indians chose air transport three times less than the Americans, India would still become a serious competitor to the USA. The same could be said for the Chinese aviation market. However, it won’t happen overnight. For instance, in Singapore, where the government supports aviation as a strategic industry sector, more than 120 000 jobs have already been created. On the other hand, in India, which is home to 240 times more people than Singapore, the number of jobs in the aviation industry is only 14 times higher – 1.7 million,’ explained the Deputy Head of FL Technics Training Dainius Sakalauskas. According to the IATA forecast, in 2015 the number of air passengers in the Asian-Pacific region will account for 37% global market whilst in Europe and North America the number will drop to 29%. It is highly likely that by 2015 the aggregate number of passengers will reach 3.55 billion. Meanwhile, according to new report produced by the Air Transport Action Group (ATAG) and Oxford Economics, the current air transportation industry, directly or indirectly, supports jobs for more than 56.6 million specialists – 20.7 million in North America, Europe and Australia, 35.9 million in the rapidly emerging markets (24 million in the Asian-Pacific region alone). According to the recent prognosis, in the next eighteen years the number of passengers is expected to reach 6 billion, creating 82 million jobs in the aviation industry. According to D.Sakalauskas, despite the expected recovery in the North American aviation industry, the Asian-Pacific region will see the number of aviation-related jobs almost double, as compared to Europe or North America. Nevertheless, if they wish to become equal partners to the Western ‘giants’, the companies based in the Asian-Pacific region must not only absorb the Western know-how, but also ensure the sufficient supply of highly qualified aviation personnel and a wide network of trustworthy partners.